In this 1976 composite photograph taken from above the Oblique Wing Research Aircraft, the rotation capability of the wing is illustrated. The multiple exposure illustrates the limits of wing rotation from 0 and 45 degrees, along with the area swept-out during a full rotation. 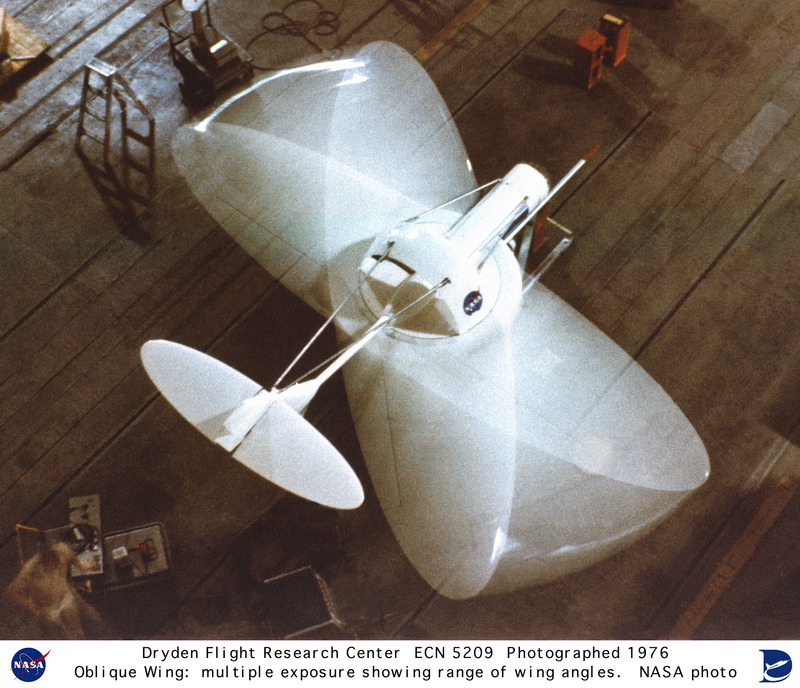 Keywords: Oblique Wing Research Aircraft (OWRA); Remotely Piloted Research Vehicle; NASA Drained Flight Research Center; NASA Ames Research Centers.